Bellbrook Lawn Equipment has earned a reputation by delivering our customers high quality mowers for 30 years. We carry several high quality products such as Scag Commercial Mowers. 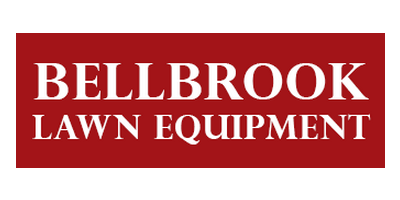 Bellbrook Lawn Equipment is a full service power equipment retailer and service center located in Bellbrook, Ohio. We carry many well known brands of mowers, blowers and trimmers such as Scag,Toro Proline, Toro consumer, Snapper and Echo. SCAG Zero-Turn mowers allow you to mow with such precision; they nearly eliminate the need to trim. Zero-Turns pivot 180° without leaving a circle of uncut grass eliminating unnecessary maneuvers saving you time and fuel. Similarly front mount mowers give you some of the same maneuverability and allow you to mow in tighter spaces while still covering a lot of ground. Attention Commercial Cutters and Landscape Contractors. All Scag and Toro Proline Equipment Sales include @ no charge a Free loaner Program. No More Down time!!!. Bellbrook Lawn Equipment has earned a reputation by delivering our customers high quality mowers for 30 years. We carry several high quality products such as Scag Commercial Mowers. Bellbrook Lawn Equipment is a full service power equipment retailer and service center located in Bellbrook, Ohio. We carry many well known brands of mowers, blowers and trimmers such as Scag,Toro Proline, Toro consumer, Snapper and Echo. Browse our website, stop by or give us a call if we can help with your power equipment needs.